The miniatures board game Sedition Wars: The Battle for Alabaster Station from McVey Studios did have a lot of nice miniatures even though it had a lot of problems. The Strain, a kind of plague (or alien virus whatever) that reanimates dead tissue shaping a series of horrifying stages of adversaries from zombie to full blown demon mecha…also have some interesting variations. Like these Bonecrabs. 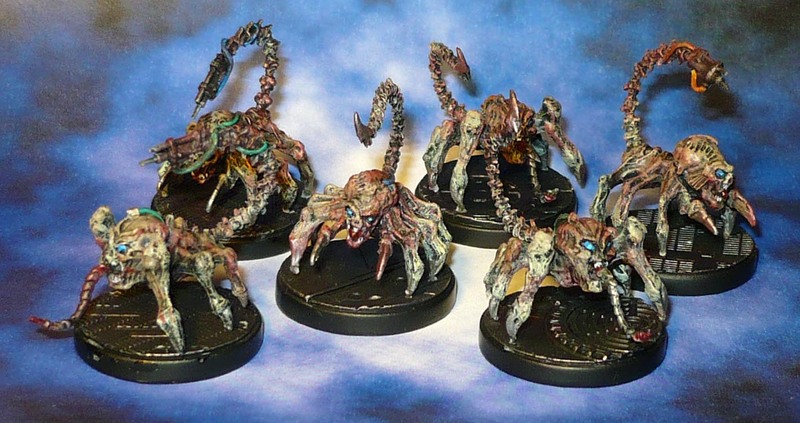 Imagine these scuttling towards you en masse at a rapid clip down a dark, claustrophobic corridor! NextUnfinished business, or: the remainder of the 2015 painting output.